﻿ Wheelchair Accessible China Tours for Disabled & Handicapped Travelers. Being disabled and in a wheelchair can be very difficult, but does not mean living alone in a closed world. It is inspiring enough that we should indeed just enjoy the life and travel as far as we can to see the world and fulfill our bucket list experience. Given its rapid development on infrastructure, China is to be one of the best accessible travel destinations for disabled travelers with disabled access and facilities at hotels, restaurants, scenic attractions, airports and the public areas. Disabled travel in China is absolutely possible and encouraging. China Culture Tour offers the best bespoke, personalized China tours for people with a disability, including the wheelchair users. With years of domain experience in assisting disabled customers in planning and traveling in China, we fully understand what you expect – to combine every your personal need with comfortable & relaxing vacation, site visits, culture immersion, real-life experience and culinary adventure. 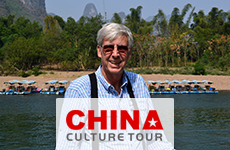 Your professional expert especially crafts for you slow-paced, well-balanced itinerary by considering every single detail from the very beginning when you set foot in China to the final end after you board your international flight back home. Therefore, you will stay at hand-picked wheelchair-friendly hotels with accessible rooms, have smooth intercity air travel and bullet train journeys and visit the attractions via disable access and facilities. Your guide and driver are very flexible, friendly, and always helpful, and ensure your tour of China a once-in-a-lifetime experience. The vehicle in each city we arrange for you exclusively has spacious space and lower chassis, so that you can get in and off easier. Besides it is also suitable for wheelchair. We can you arrange a wheelchair pusher if needed. This helps a lot though cost inreases and allows you and your companions to enjoy the most of your China visit. We can help to rent wheelchairs from hotel and some attractions if needed. Although we suggest our clients take their own wheelchair from home, but if they don’t, we can still make wheelchair reservations in each place. What are the most recommended disabled / wheelchair-friendly destinations in China? China is becoming more and more disabled and wheelchair-friendly. Disabled access and facilities can be found in most big Chinese cities and popular travel destinations, such as Beijing, Shanghai, Guangzhou, Shenzhen, and Hong Kong. “Hong Kong, however, may be the most wheelchair friendly city in the world, certainly more so than San Francisco where we're from,” said by one of our clients from USA. Are the attractions in China equipped with wheelchair access? The world-class attractions in China, such as the Great Wall, Forbidden City, Summer Palace, Temple of Heaven and Museum of Terracotta Warriors and Horses, etc., greet wheelchair users with disabled access and facilities (ramped access, cableway, wheelchair access lifts and routes). Besides you may take the sedan chair at some popular tourist mountains and sights, such as Longji Rice Terraces and Reed Flute Cave in Guilin and Shaibaozhai Pagoda, one of the highlights along the Yangtze. Are there disabled/wheelchair-friendly hotels in China? Most 5-star hotels in big cities can provide accessible rooms and wheelchairs for rental. Given that hotels are like your temporary homes in China, it is particularly important to make sure they are truly friendly to wheelchair users, including the entrances, bedrooms, toilets, showers and easy-to-operate chairlift. If booking China tour with CCT, we will check for you the hotel wheelchair accessibility and make the reservation in advance. We have long-term cooperation with some of the best wheelchair accessible hotels in each Chinese city. What is an appropriate tip to fly with a wheelchair in China? For wheelchair users touring in China, it's especially important to know China’s air traffic regulations, including both the airlines’ luggage rules and airports’ wheelchair service. All Chinese domestic airlines provide free wheelchair assistance at the airport and airplane cabin. But you need to apply for a wheelchair as far in advance, as usually only one to two passengers are allowed to use on-board wheelchair per flight. You can receive all the necessary assistance from the airport and crew member onboard if your application is approved, including the wheelchair, suitable seats onboard, particular boarding and disembarking service, etc. Do I need to have my personal wheelchair checked in before departure? The answer is yes. Your personal wheelchairs can be checked in free of charge. But if you’ve applied for the use of a manual wheelchair when check-in and boarding, and permission is granted, your manual wheelchair can be put inside the cabin at a designated place. To have your electric wheelchairs checked in, the wheelchair with leak-proof battery should be installed safely, being not short-circuited. For wheelchair equipped with non-leak-proof battery, the batteries must be removed. You can consult the airline or travel consultant of CCT for more information. Are the Chinese bullet trains wheelchair accessible? The bullet train in China is wheelchair-friendly, apart from its many other strong points. Wheelchair users can take advantage of the elevators and the accessible routes. What are the helpful advices for wheelchair users to tour China? Research the destinations you plan to visit. Get plenty of information about the place’s disabled access and facilities, especially those at the hotels and tourist attractions. 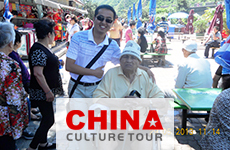 Travel with family or a carer, which makes your journey in China much easier and more pleasant. Consider a private, customized China tour with a travel agency like China Culture Tour, who understands your needs thoroughly and can make all the arrangements perfectly including flights, hotels, vehicles, tour guides, etc.